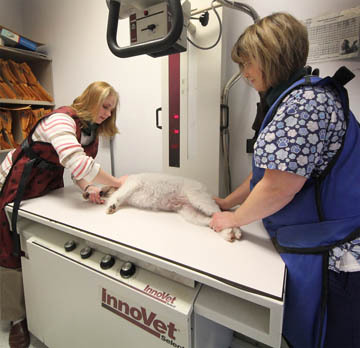 At Tender Care, we have a state-of-the-art digital x-ray and ultrasound unit. Digital radiology allows the doctor to visualize internal structures such as bone soft and tissue with enhanced detail as compared to film x-ray units. 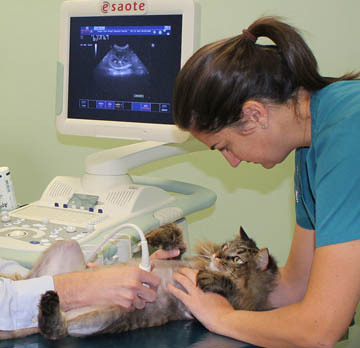 Ultrasound allows the doctor to visualize and measure tissue and organs with incredible accuracy in addition to visualizing details that x-rays don't allow. Furthermore, by using digital equipment, our images are quickly and easily sent if a referral is required to the local emergency clinic or to a specialty facility. "Wonderful! Everyone we met was professional and great to our little puppy and was helpful to us as new dog owners." - Jackie and Yohan A.